Word to the wise, don’t threaten to burn down a restaurant days after you’ve eaten there. You won’t receive the refund you want and you’ll end up in jail. Just ask a New Jersey man, he knows how it goes. 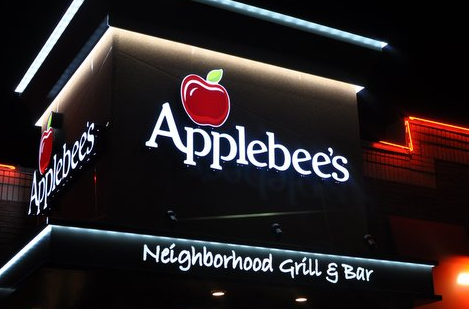 Managers at an Applebee’s in Vineland, New Jersey called police on Feb. 2 after a man allegedly threatened to burn down the restaurant, NJ.com reports. The man reportedly entered the restaurant complaining about his Applebee’s experience two days earlier, saying he did not enjoy his meal and didn’t appreciate the way he was treated by staff. When managers told the man he could not be reimbursed for the meal, he became enraged. After the man threatened to burn down the restaurant and made other disturbing comments, managers called local police. The man left the restaurant and was located in a nearby city where he was arrested on two counts of terroristic threats. He was later released on summons. So, remember, if you don’t like your meal, it’s better to say something while you’re actually eating it.